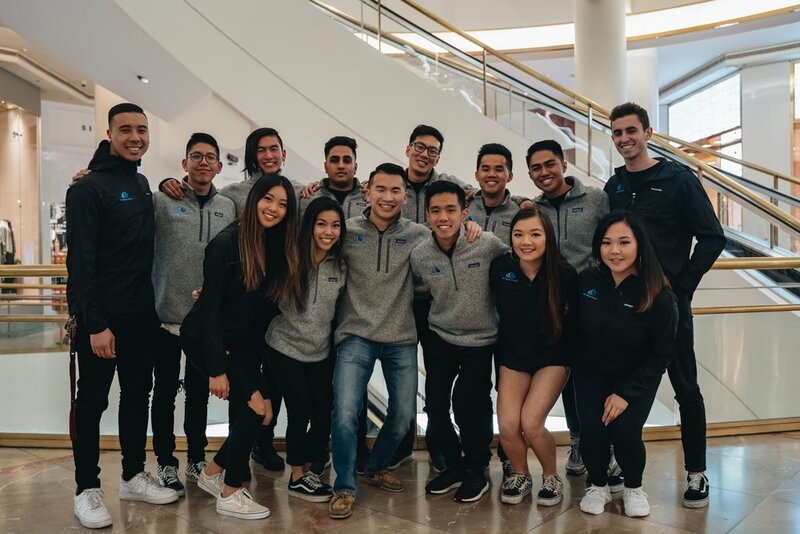 Abhi is a passionate marketer from UC Berkeley with experiences from SaaS companies, music streaming giants such as Pandora, and The White House. As the face of We Dream Worlds, Abhi truly cares about creating positive social impact through the power of music. Darren is a 3rd year student studying CS at UC Berkeley. Darren is the CTO/ Event Operations Head for We Dream Worlds. His job is to make sure that all the equipments are perfectly setup and ready to be used by the artist. He is also a DJ going by the name Dekay. Gwynevere is a junior at UC Berkeley studying Business Administration and Data Science. As the CFO, she is in charge of all the finances for WDW. Julian is a 3rd year Electrical Engineering and Computer Science student attending UC Berkeley with a passion for EDM and bringing events to the bay area. His other interests including figure skating, poker, hip hop dance, horror stories, pineapples, and boba. Catch him at events head-banging or networking on the dance floor. Shawn is from the Bay Area! Shawn currently works full-time at LinkedIn and pursues her passion in music business with We Dream Worlds. Outside of her interest in music, she really enjoys traveling, especially to different parts of Asia. Fun fact: Shawn has a mini poodle named Shadow and he's cuter than your dog. Aidan is a 4th year at UC Berkeley studying Economics. He is a Liverpool diehard, SoundCloud adventurer, and terrible photographer. Catch Aidan at your local Chick-Fil-A. Alvin is a 5th year at San Jose State University studying Industrial and Systems Engineering. Alvin likes to keep himself busy by being future-oriented. He is also an entrepreneur, a pianist, and a DJ. Maggie is a third year studying Business Marketing at San Jose State University. You can usually find her studying at the library, but when she isn't, she is usually out exploring new food places. Fun fact: she's 4'11, but if you round it up it's 6'4. Shane is a 2nd year Berkeley student studying Chemical Engineering. As production manager of We Dream Worlds, he works with Darren on equipment and event management. He also DJs under the stage name PRJCT-X. John is a class of 2016 UCSC graduate, and is currently slaving his life away in the Silicon Valley tech industry. During his spare time, he enjoys powerlifting, eating, rewatching The Office, and photography/videography. Casey is from SoCal and currently works in SF. He has a passion for music while his other interests include video games, bartending, and being tech trash. Claire is a 3rd year at UC Berkeley, and from the Bay Area. She is excited to be on the We Dream Worlds team and looks forward to meeting people who love music as much as she does. Lydia is a senior at the University of Chicago studying public policy and psychology with a passion for advertising. She is originally from San Jose and loves weightlifting, ice skating, buying shoes, taking food pictures, going to too many concerts, and planning her next adventure! Jayson is a senior at UC Berkeley studying Economics. He is a Jinx Main, Professional KBBQ Eater, Volleyball Player, and Pinner at Pinterest. He’s here to help create memorable experiences through music. Morgan was raised in SoCal. On the WDW team, Morgan is currently responsible for A&R. If she’s not scouting for new songs on Soundcloud or planning for a festival, she’s probably out running, doing yoga, or looking at the latest fashions. Devin is a Junior at Emory University, studying business administration. His first rave was at a San Holo concert in Houston, and outside of music, Devin is active in the Atlanta boxing scene with the Atlanta Boxing Association. Holly is a 3rd year Statistics major at UC Berkeley from the Bay Area. She first found a passion for EDM when she realized it was perfect study music. When she’s not busy being an EDM Connoisseur, you can find her dancing in contemporary, hip hop, and ballroom styles. Nihaal is a 3rd year Econ/Accounting major with a Music minor at UCSB, aiming to work in the field of private equity. Nihaal is currently trying to get certified to skydive solo, and is 3 dives away from being able to dive on his own. Gibran is Mexican-American and was raised in Oakland, California. He currently attends UC Berkeley, and co-founded the course on Drake in 2017. He has been DJ'ing since 12 years old, which has led him to perform alongside artists like E-40. Sergio Jordan is a college Graduate from Saint Mary’s College of California. Will forever be attending YouTube University for Content Creation, and is always trying to fit Chick Fil-A in his Macros.